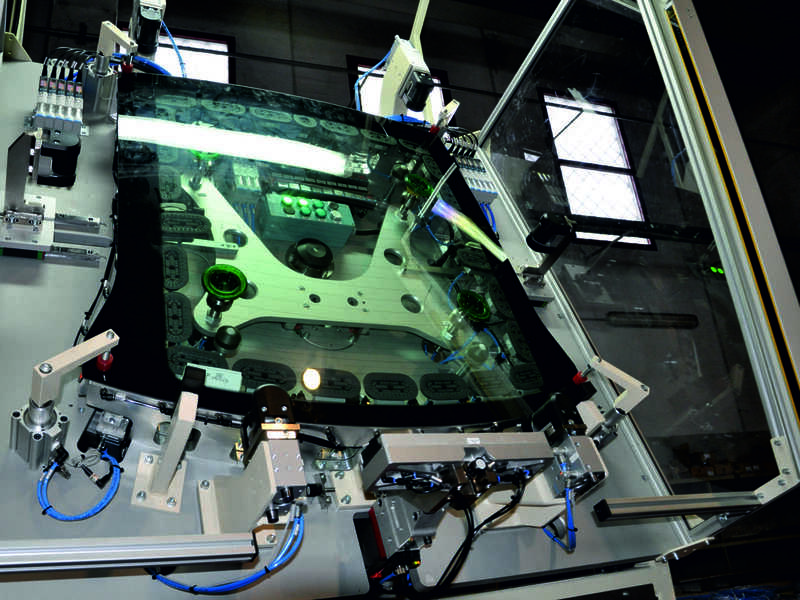 Value added operations-AVO- consist in all those operations performed on the naked glass just produced, before it is delivered to the automotive company ready to be assembled on the car. 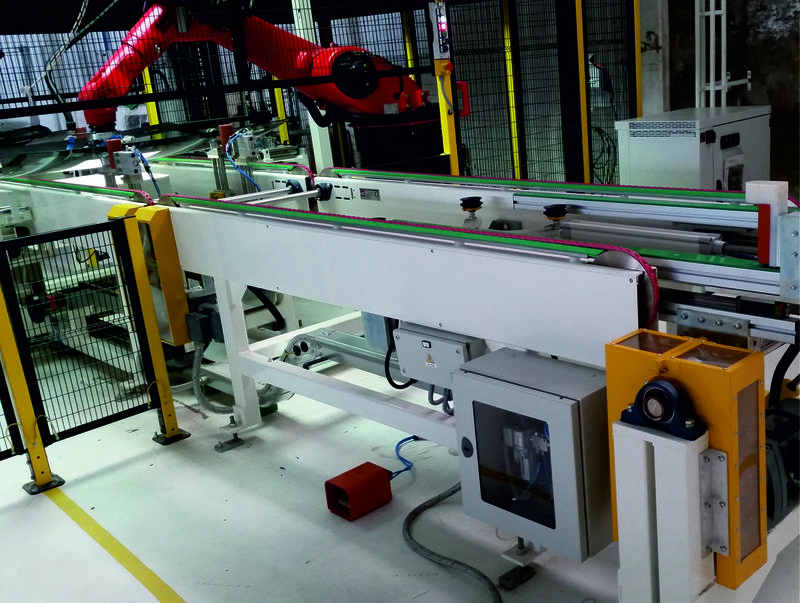 The use of Value added operations-AVO- and their consequent complexity have risen in the recent years; as a matter of fact they were once performed directly by the car company at its premises, while they are now carried out at the glass maker’s site. Iocco provides the major automotive glass manufacturers with specific and state-of-the art solutions, advising and giving directions throughout the different phases of the project because it’s the expertise that makes the difference. The area of value added applications currently counts more and more sophisticated operations. Some of them may be applied basically to all car glass set, whereas our technological expertise may study specific solutions involving just one particular glass. In order to offer an esthetical seal between glass and body car, it is carried out on the glass periphery the Polyurethane extrusion, in particular on windshields, side fixed windows, backlights and roofs, by means of an application cell to be customized according to Client’s requirements. Furthermore, seals and/or bond on lace and finishers assembly can be applied on windshields, backlights and roofs, so to reach esthetical requests and functional needs of the car company.The assembly cell to apply centering pins and spacers is another type of application, involving windshields, side fixed glass, backlights and roofs. Pins are fundamental to ensure the proper setting on the body car, whereas spacers guarantee the gap with the car body while the glue is polymerizing. Recent trends in the automotive industry impose the endowment of several devices on glass, aiming at increasing the driver and passengersâ€™ comfort and safety. Part of these devices are placed on windscreens (rain sensors, light sensors, distance detecting cameras, etc. ), others are located on either side fixed glass or backlights (for instance alarm, fax and antenna connectors), depending on the car companies. 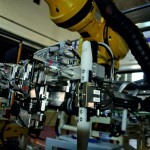 A dedicated assembly machine for brackets/pins and connectors is designed and build on purpose, according to the specific need. The manual vs automatic or semi-automatic process is customized accordingly. 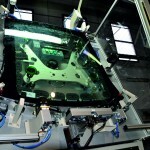 Side-fixed glass and backlights are usually assembled on the body car using a plastic frame. Such frame is obtained by the Encapsulation process, consisting in a thermoplastic press where glass is inserted and a plastic material is co-molded all around it. This kind of machine is very complex, consisting in the press and PU, PVC or TPE feeding systems plus relevant accessories. 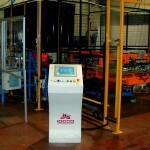 Upon request, a dedicated station for the glass preparation can be provided to perform cleaner and primer application. Ancillary stations, once the encapsulation has been performed can be considered to perform the finishing, the final cleaning of the gasket around the glass, the eventual long life primer application and final packing. The encapsulation process technology involves both side fixed windows and backlights. A great part of technical features are shared between these two kinds of glass, although in case of backlights it is required a more specific attention due to glass dimensions, avoiding possible breakages. Finally, long life primer application is a common feature involving various types of glass(windshields,side fixed glass, backlights). This sophistication is often required by car makers wishing to accelerate the glass assembly on the car body. Therefore the glass maker applies a layer of long life primer that will be active for several weeks after its laying but, as a particular and delicate product, requires maximum attention and a dedicated felt or sponge to be applied on glass. Mirror Boss Assembly allows the setting for the mirror onto the windshield, requiring a dedicated cell. Holder Application and Skate Application are performed on side lifting glasses. 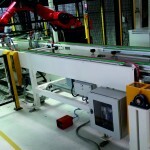 More specifically, the holder connects to the lifting mechanism to ensure the sliding of the side glass and is usually applied on it by a semiautomatic stand alone machine. The skate or sliding guide is a specific technical solution adopted by some car makers, it is assembled on the glass having a small hole and connected to it through a plastic pin. Bright finisher assembly is performed on the fixed sidelights and is a very delicate operation due to the high value of the finisher. 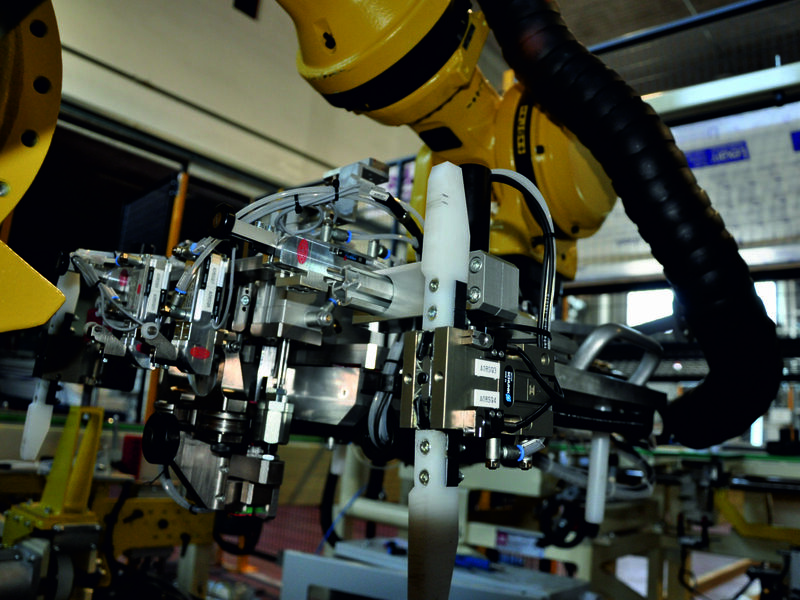 The process can be either manual or automatic, with the help of robotic systems. Grommet assembly is performed on backlights, guaranteeing a waterproof seal of the hole used to apply the wiper and its motor onto glass.The process can be either manual or automatic. 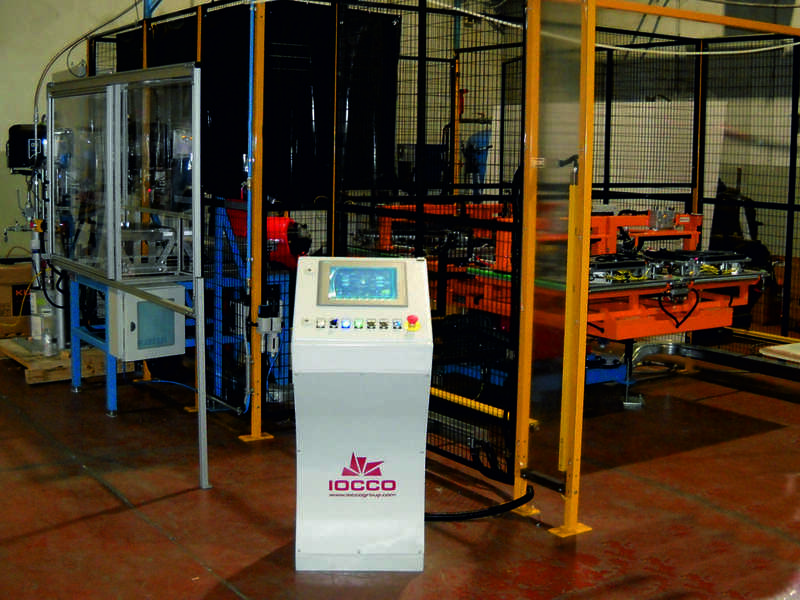 Iocco can rely on a skilled engineering team, studying and formulating customized solutions for the whole car glass set.